Good gaming-centric optimizations, no issues with hardware and software, good expansion options, and looks good in a windowed case. Would recommend. 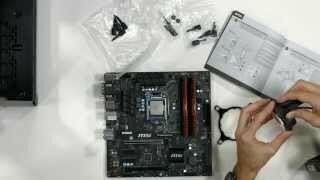 After 1 year: Some issues with SATA ports. Blue screens sometimes though not very often. Could be the HDD. 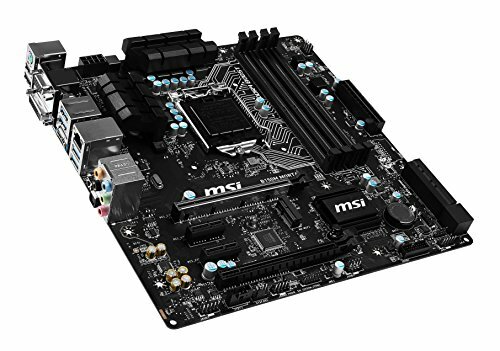 For only 149 dollars this motherboard is a best with many features and already cooled VRM's for future safety and such, with 4 PCIe lanes and an abundance of SATA, USB 3.1 on the back four ports! and ambient LEDS's, for B150 this really is something. Looks nice and has just about everything I need. BIOS is also really easy to navigate. I forgot to account for the number of internal USB 2.0 ports so my wireless card is using the only one there is and the USB 2.0 ports on the front of the case are currently useless. Not that big of a deal though since I have two more 3.0 ports that are connected. Also there's only two SYS fan ports which means my third case fan is attached directly to the PSU and always runs at full blast. For the price though I really can't complain. Warning to anyone installing Windows 7 with this mobo in a Micro ATX case: Windows 7 can NOT be installed via jump drive or external CD drive. It can only be installed via internal ODD. Windows 8/10 however can be installed via USB. I spent a good 2-3 hours trying to install 7 via USB until I read this in the manual. The fact that this motherboard has VERY bright LEDs on the bottom isn't well advertised at all. It was only after watching a PCPartPicker build video that I realized they were there. I'd already ordered this on sale so I didn't cancel or return it. 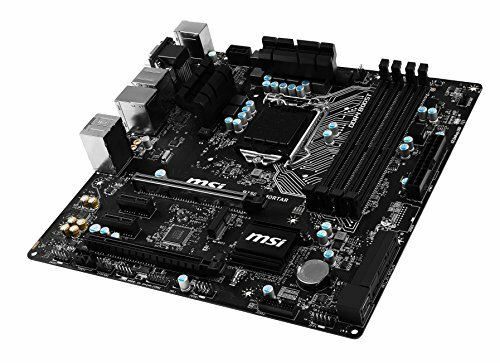 Anyway, this is a good-looking mobo. It's very sleek and everything is labelled. There are only two connections for case fans. I don't need any more but if someone wanted to fully outfit a case like mine (the Thermaltake V21), you'd have to use some fan splitters. The manual was pretty good except it doesn't specifically say what kind of M.2 wifi card is compatible. Overall, it was a good component for a first-time build and I would recommend this motherboard (as long as you aren't bothered by the LEDs, of course). Supported everything I needed, but being mATX, there was not much room for installing cords and such without removing other things. Actually using the B150 Mortar Arctic, but it's not on here yet. Seems good from the use I've gotten out of it so far. 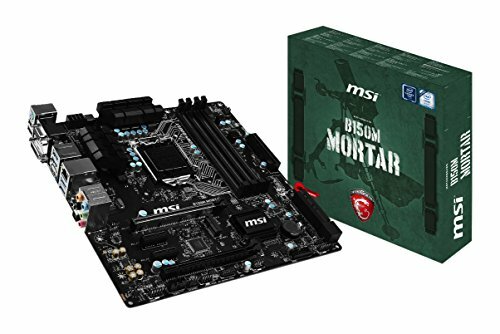 The MSI Mortar MIcroAtx had everything I needed with extra upgradeable for the rams if I ever need more rams. Love the fact that the gpu slot on this mobo was steel plated for extra strength. Everything is labeled out on the Mobo for an easy installation. It telels you which RAM Slots you should be using if you're just going with a 2 sticks configurations etc. 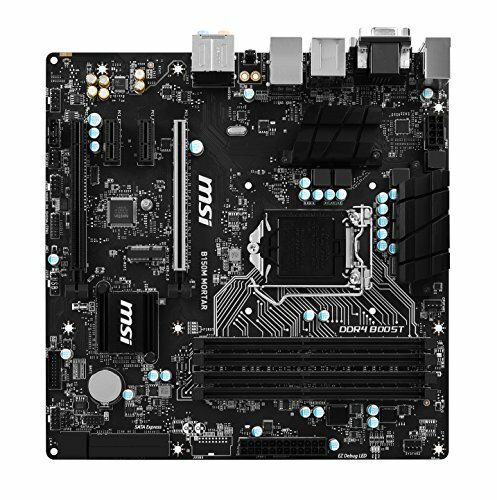 Another good thing about this Mobo is the EZ Dedug LED on the right side. It tells you what was installed incorrectly so I can easily fix it but it's only for the CPU/RAMs/GPU but I think those are the important thing here anyway. The only con is that it only can only handle 2 fans so if i wanted more, I would need to get a fan splitter. Beautiful BIOS, good ports and not very flimsy!